Are you aware that May 14 – 20, 2017 is National Police Week? In 1962, President John F. Kennedy signed a proclamation which designated May 15th as Peace Officers Memorial Day and the week in which that date falls as National Police Week. During this week, we salute those who have made the ultimate sacrifice in the line of duty and honor all of those that have chosen this field of selfless service to their community. We are very fortunate here at UC Irvine to have a cadre of dedicated police officers committed to a community-oriented style of policing that not only responds quickly to the needs of our campus but utilizes and partners with the community in a proactive manner to keep all of us safe. This week, tens of thousands of law enforcement officers from around the world will converge on Washington, DC to participate in a number of planned events which honor our fallen heroes. 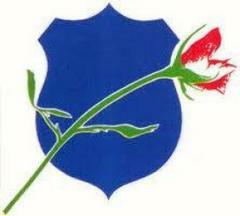 Visit the National Police Week website at http://www.policeweek.org/ for more information. In addition to these events, communities and law enforcement agencies across the country will sponsor their own activities to recognize their fallen officers and their families.